Happy Monday friends, and welcome to Trick-or-Treat Week! 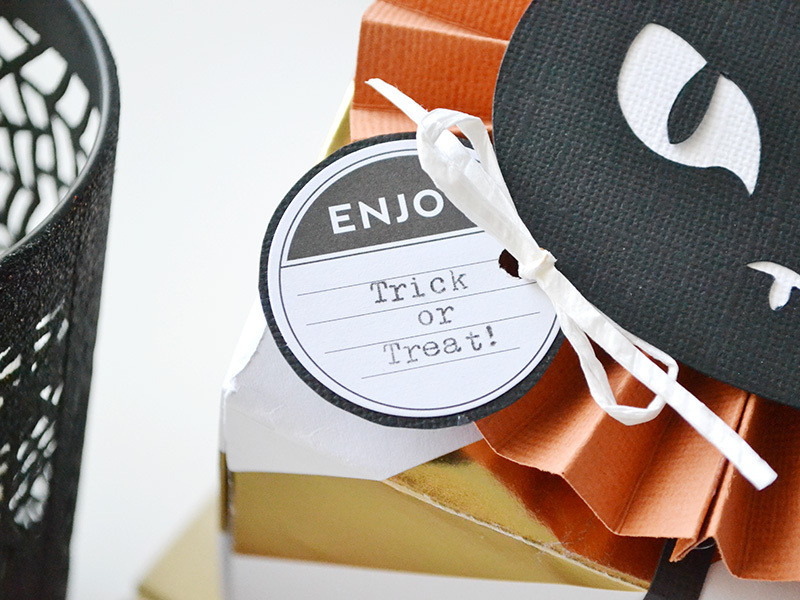 Actually, it’s more like just plain old Treat Week because our design team will be sharing creative ideas for packaging Halloween treats all week long. We’ve got some inspiring projects lined up, so enjoy! Hey there, We R fans. 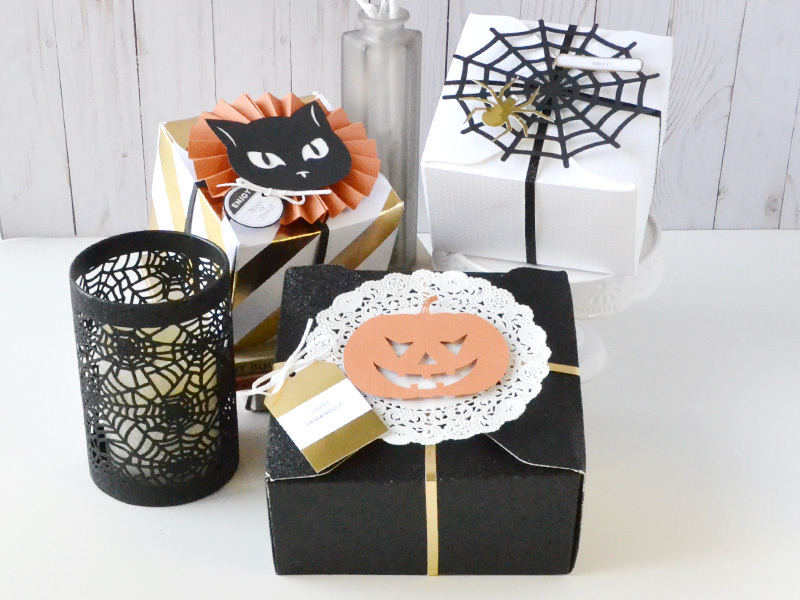 It’s Aly here again sharing a set of Halloween Treat Boxes that I made using the Template Studio and some Designer Poster Board. 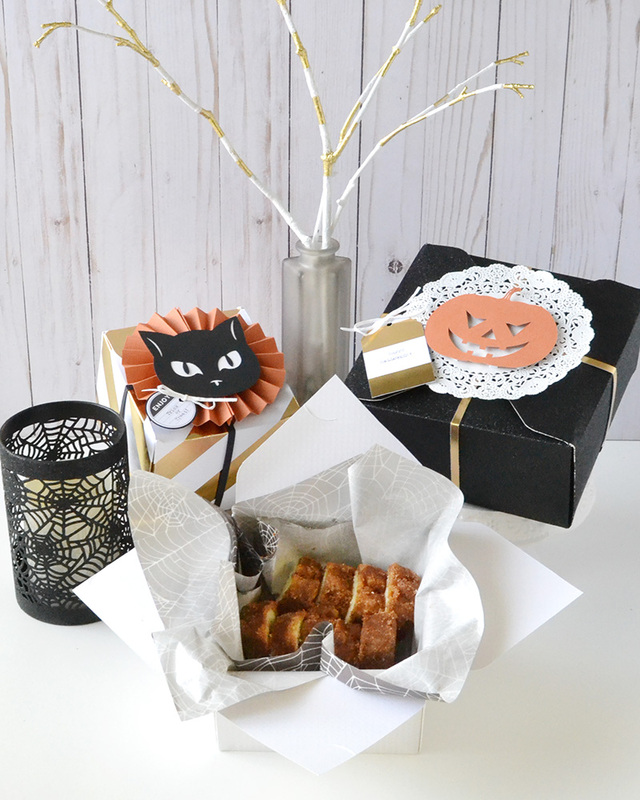 October marks the start of the baking season at our house, and I’m always looking for a creative way to package homebaked goodies for our family and friends. 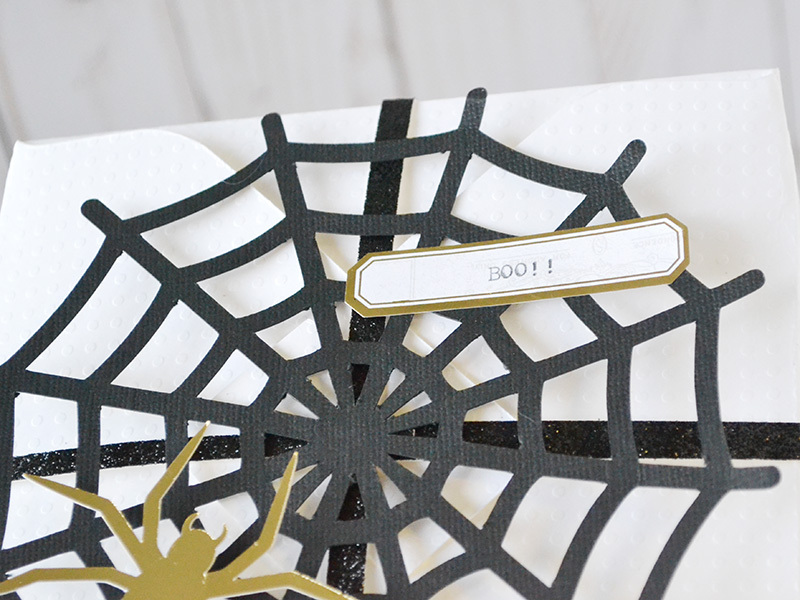 Combining the Template Studio with the new Oh Goodie Halloween Glassine Papers turned out to be the perfect solution! I lined my boxes with the adorably spooky, grease-proof, food-safe 12×12 papers, and my yummy cinnamon sugar bread was packaged safe and sound. Not to mention it looks pretty cute, too! 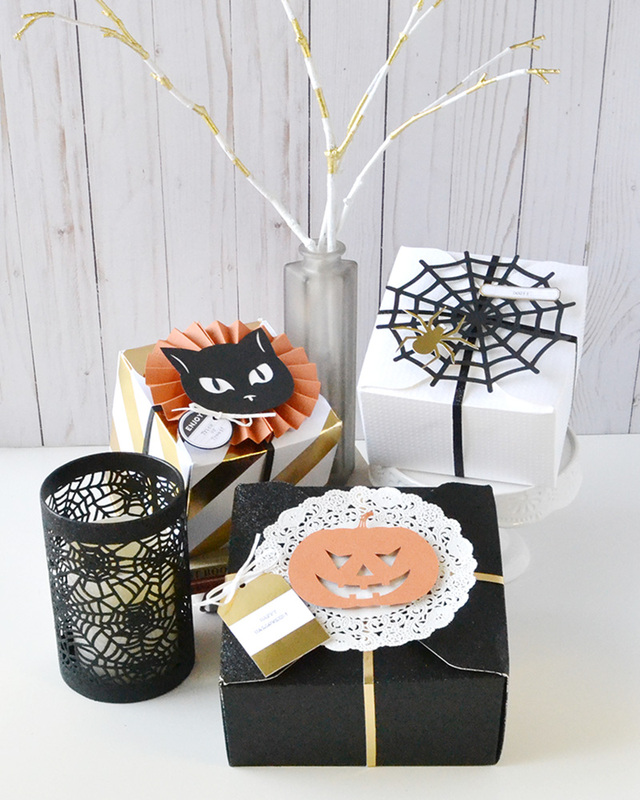 These papers are super versatile–they’re perfect for making goodie bags with the Goodie Bag Guide and the Scalloped Goodie Bag Guide, or you can use them as a liner for other treat packaging and containers. Awesome. 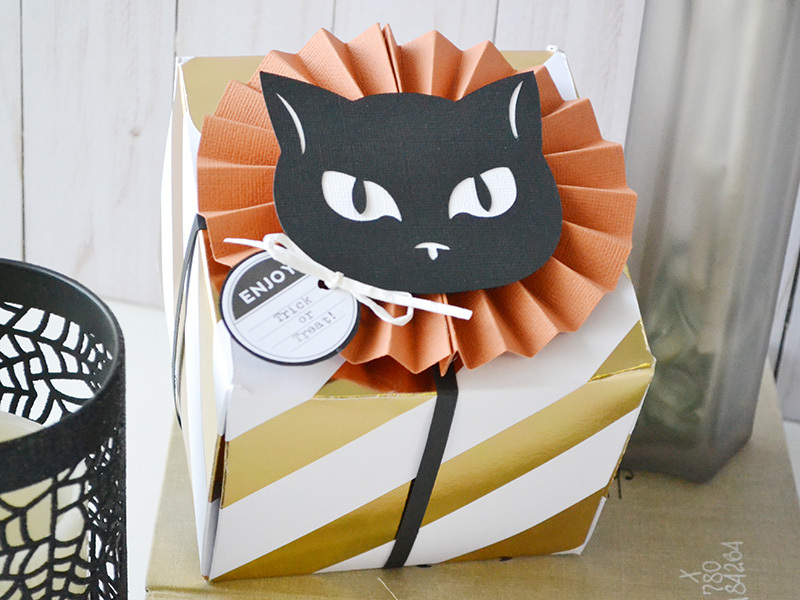 Making the treat boxes with the Template Studio is so convenient because I can select from a variety of sizes to create a box that fits the contents I’ll be packaging. You can watch a video tutorial for making boxes with the Template Studio on our YouTube channel HERE. Once I finished making my boxes, I secured them with thin strips of cardstock to coordinate with the box colors. 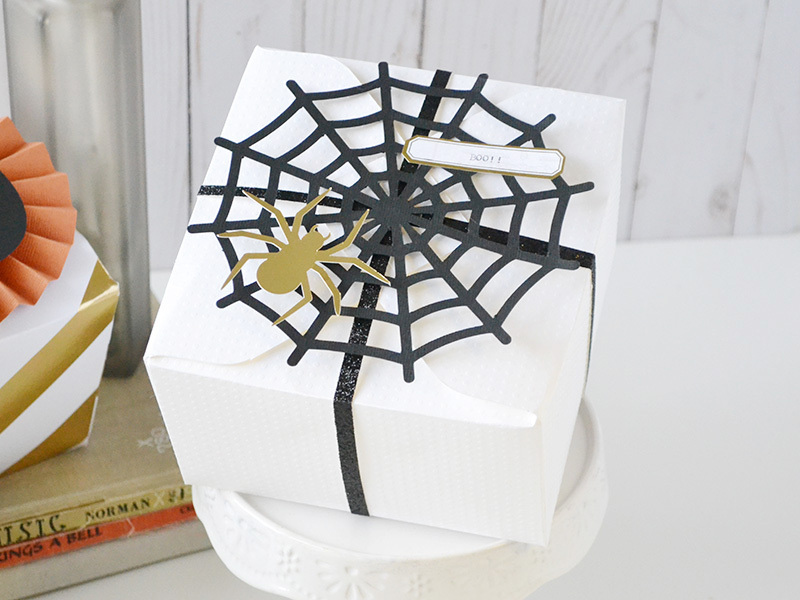 You could use ribbon or twine as well. 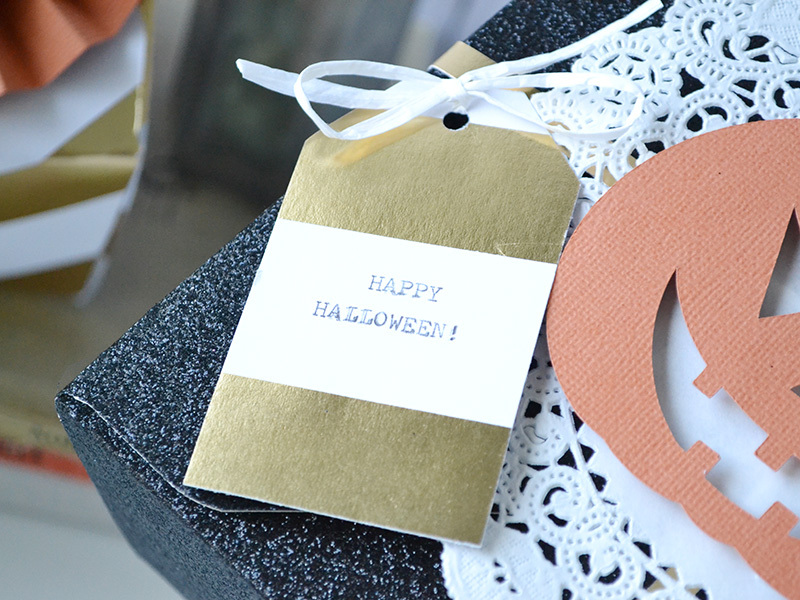 I found some cute Halloween designs and cut them out with my electronic cutting machine. I used my Fringe and Score Board to make the rosette for the above box. To personalize my treat boxes I added labels and tags from the Typecast paper collection and typed sentiments directly onto them with my Typecast Typewriter. I love how easy it is to add text to my projects with the typewriter, especially since I’m not so good and writing things by hand. And the typewriting looks so cool! I hope you enjoyed some inspiration and my little crafting hack. 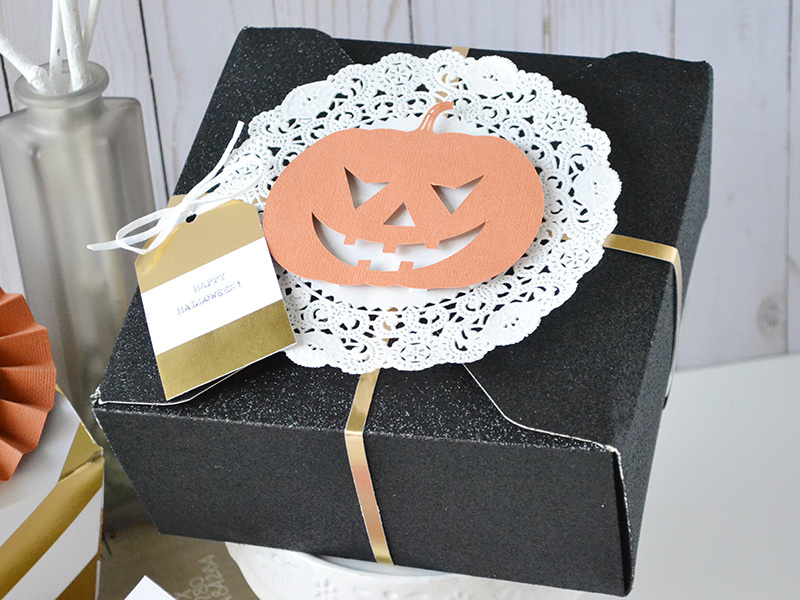 Try using the Oh Goodie glassine bags to line your treat packaging. They’re easy to use and they look adorable too! Creative cheers!